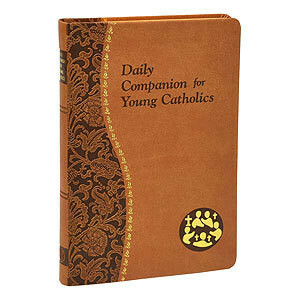 Add this small book to the mix of tablets and smartphones that are daily accessories in every teen's life. The author, a father of 4 and a veteran high school teacher, talks the talk that will get their day off the fast track and onto the right track. In a matter of minutes they will read Scripture, a brief reflection, and a prayer that relates to their lives—friends, family, bullying, church, life choices. There is no proselytizing in these pages, no accusations or condemnations—only the repeated and clear message that Jesus loves them and wants to help them. This book comes with a lifetime guarantee: if they read it, He will come. Confirmation, Graduation, Birthday, any day—hands down, Daily Companion for Young Catholics is the right fit.